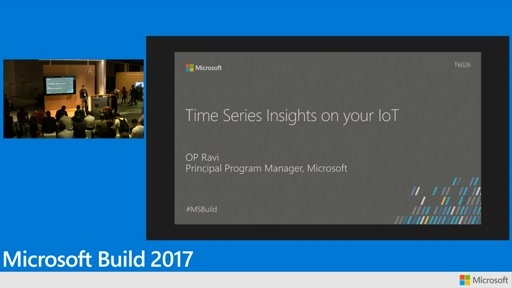 Use your time series IoT data to better understand machine, building, and device time series data. 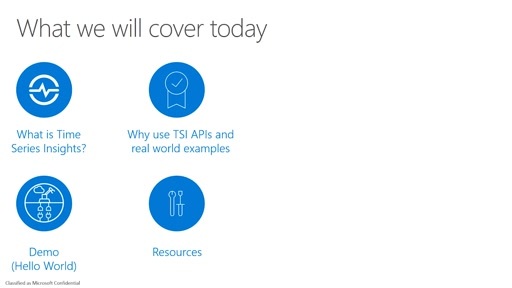 Using Azure Time Series Insights, we'll show you how to quickly get started visualizing, storing, and querying this data. We'll start with a quick hands-on tutorial that shows just how fast and easy it is port Azure IoT Hub data into the service. From there, we'll guide you through a first run of exploring your data visually, then teach you how to conduct a basic root-cause analysis, compare data over time, and produce queries that can be used to show meaningly insights into the data your company's assets produce. We'll also look at scenarios that can help you get more out of your data to drive meaningful BI within your organization.